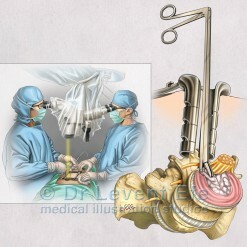 Cervical Disc Replacement – Medical illustration visually narrating a C4-C5 artificial disc, and the post-operative neck flexibility. 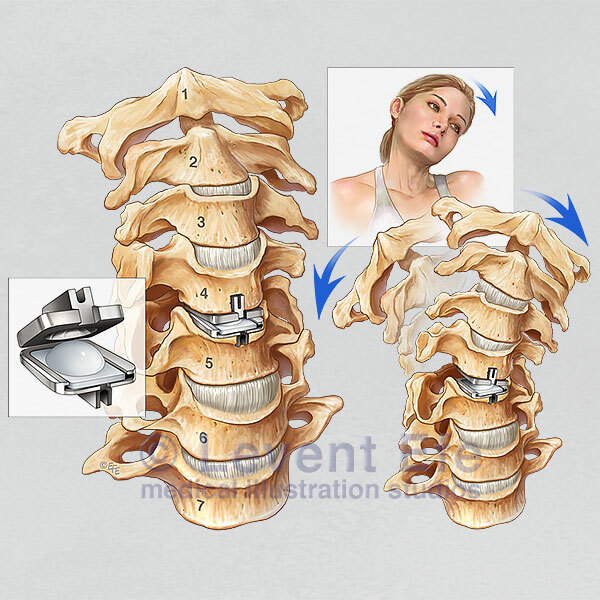 Ideal tool for educating patients about the procedure and emphasizing its difference to fusion techniques. 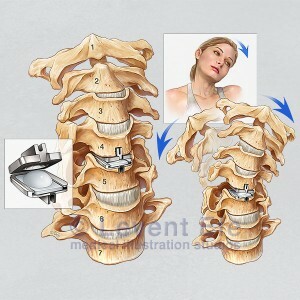 SKU: ORT007. 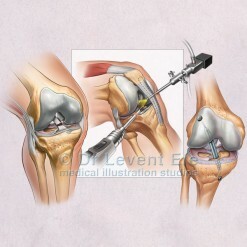 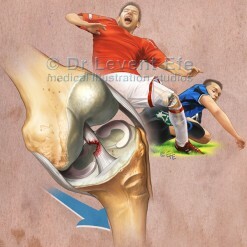 Category: Orthopaedics (ORT). 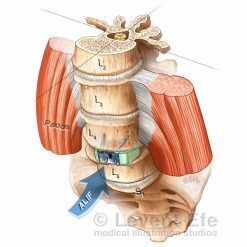 Tags: ArtificialDisc, CervicalDiscDisease, CervicalDiscReplacement, CervicalFusion, CervicalNerveRoots, CervicalVertebrae, disc, microdiscectomy, neck, SpinalCordDiscectomy. 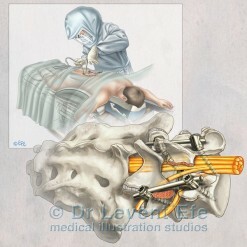 Artificial Disc in Cervical Vertebra – Anatomic artwork depicting the Cervical disc replacement technique.